The CENTRAL FLORIDA CW NET (CFLN)meets every Wednesday, at 8:00 p.m. N4EH on 3.533 MHz. This is a semiformal Central Florida CW net sponsored by LMARS.org. The net is open to anyone in the central Florida area who wishes to participate. Central Florida is described as those six counties making up the nucleus of central Florida: Orange, Seminole, Lake, Volusia, Brevard and Polk. 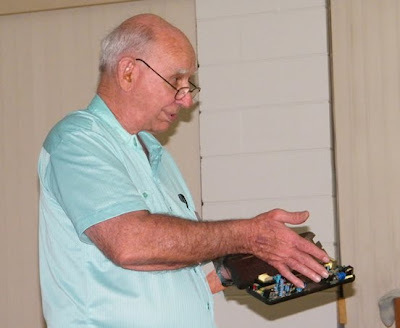 Local CW operators from any of the central Florida Amateur Radio Clubs are invited to participate with the intent of building a more active local CW formatted interest group and to further foster morse fellowships. Ernie KG4YNI is seen here making the intro for our presenter Don Jeerings KI4EFL. His topic: Lightning. Few put themselves into a presentation like Don. Seen here he is about to reveal something really shocking. We are warned to stand back, and prepare ourselves. 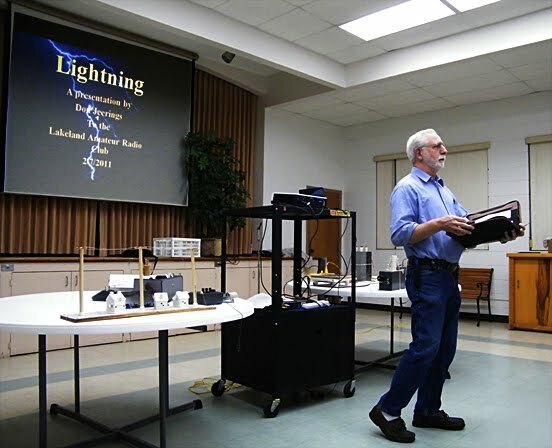 In addition to the many lightning demos, Don showed off some of the technology designed to protect our equipment from lightning. 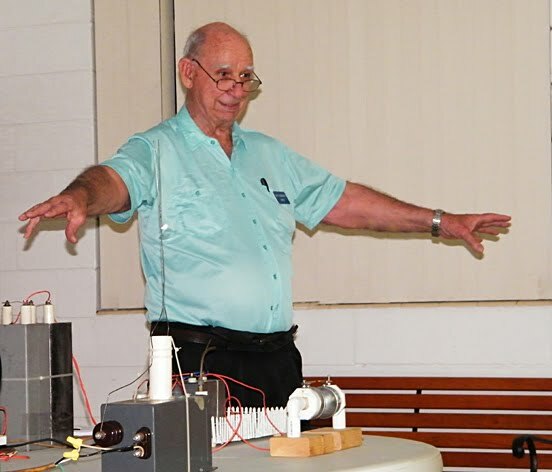 The device he is holding is designed to protect phone lines from a lightning strike. He also discussed two methods of measuring the quality of a station's ground, and populated his talk with images of local ham stations, commenting on each from the lightning point of view. Jim KG4MAT is seen here being congratulated by the VE crew on the successful completion of his General Exam. Fine Business Old Man! 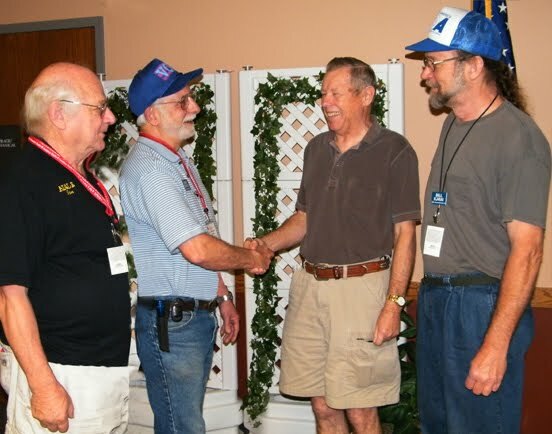 Also in the photo are left to right Jim AI4LE, Ernie KG4YNI, and Bill KJ4IAI. Not shown but also present is Bill KI4ZMV.